She is an immigrant who was born in Santa Cruz, Bolivia and moved to the United States, along with her parents and 3 siblings, when she had just turned 12 years old. She first became involved in the community to organize for the passage of the DREAM Act. An avid supporter of immigrant rights, higher education and leadership development, Carla desires to empower young people and working families. Prior to taking on the new role, Castedo served as Mi Familia Vota’s Northern Nevada Coordinator where she helped elevate the Latino community within Nevada’s political landscape, helping lead and implement MFV’s successful Latino voter mobilization efforts. 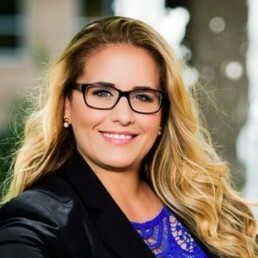 Castedo served as one of the founding members of the Latino Leaders Table in Nevada and represented Mi Familia Vota in key state civic engagement and immigration coalitions. Additionally, Castedo was a part of the MFV team that registered more than 19,000 Latino voters in Nevada, earning Mi Familia Vota the National Association of Secretaries of State Medallion Award in 2013. Lizeth Chacon, an immigrant from Chihuahua, Mexico, came to Colorado at the age of 12. During her first years of school, Lizeth noticed the injustices and difficulties many immigrants face and from that moment she began volunteering at her school and got involved in the movement for social justice. Lizeth was the first one of her family to graduate from college. In the fall of 2010 she graduated from the University of Colorado with two Bachelor’s Degrees, one in Political Science and a second in Criminal Justice. She got involved in the immigrant rights movement in 2006. In 2013, Lizeth was awarded a Mayoral Proclamation as “A Woman in Leadership” by Aurora Mayor Steve Hogan and in 2014 she became a founding board member of the Aurora Welcome Center. In the fall of 2014, Lizeth became the Executive Director of Rights for All People and in 2015 she led the union of Rights for All People and Colorado Progressive Coalition to create Colorado People’s Alliance (COPA). In 2016, Lizeth co-chaired the statewide ballot measure that successfully increased Colorado’s minimum wage to $12 an hour by 2020 and she co-created the Statewide Immigrant Resistance Table. Lizeth continues to lead collaborative efforts on climate, economic, immigrant and racial justice issues. Lizeth is the Founding Executive Director of Colorado People’s Alliance (COPA) and is currently on the Board of Directors of People’s Action. 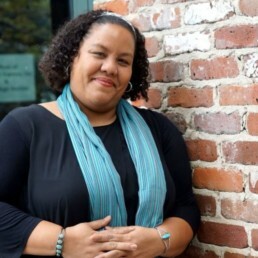 Felicia Griffin currently works at Partnership for Working Families. Previously she joined FRESC in 2013 after working as the Operations Director for the Colorado Center on Law and Policy. 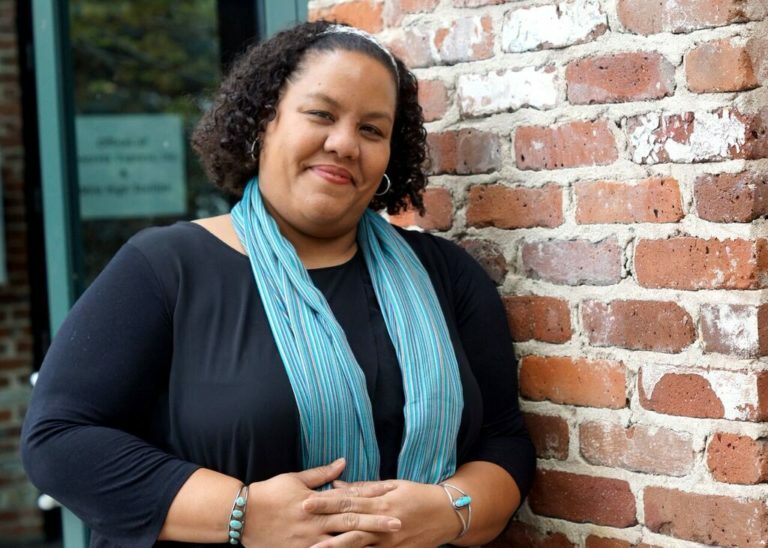 Felicia started her work in social and economic justice in 2002 and has worked as a research associate, deputy director, consultant, interim director, president and program manager since then. Felicia has worked on economic security policy on the state and national level (in partnership with the Center on Budget and Policy Priorities) and has worked on statewide organizing campaigns to increase Medicaid enrollment for children in poverty. She has also led a campaign funded by the Annie E. Casey Foundation called “Race Matters: Policy through a Racial Lens” that focused on reducing disparities for communities of color in housing, employment, health and education. She represents FRESC on the board of the Partnership for Working Families, the national network to which FRESC belongs. Felicia is also the current Chair of the Aurora Human Relations Commission. Felicia grew up in Aurora, Colorado and was raised by a single mother. Felicia knows firsthand what a good job means to a struggling family. In her first job she was a member of UFCW Local 7 (King Soopers) and she became a union steward at 16 year old. She is committed to opening the doors of opportunity for all workers and their families. Felicia believes in FRESC and feels her experience and passion have led her to this awesome organization. In her free time, Felicia loves to travel and spend quality time with her husband and children. Mike has a BA from University of Michigan and an MSW from University of Denver. Mike’s history with community organizing spans 36 years. He was hired as an organizer by Catholic Community Services in 1980. In 1985 Mike became Director of Metro Organizations for People (MOP), a job he held for 10 years. In 1990 Mike left Denver to direct Congregations Building Community (CBC), a congregation based community organization in Northern Colorado. Mike directed CBC for five years, returning full time to the job of directing PICO’s statewide community organization Together Colorado, formerly MOP, in July of 2000. 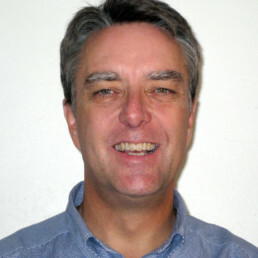 In addition to directing Together Colorado, Mike serves on the PICO national staff, as regional director for PICO West. The daughter of South Asian immigrants, Neha Mahajan has supported social justice and community organizing efforts for over 15 years. As a young activist, she developed political consciousness in movements for immigrant justice, youth organizing, ending violence against women of color and dismantling the prison industrial complex. Locally she served as Co-Executive Director of the Chinook Fund, Colorado’s only social justice foundation, where she provided leadership around progressive movement building, cross-class organizing, collective leadership and dismantling oppression in the philanthropic and non-profit sectors. 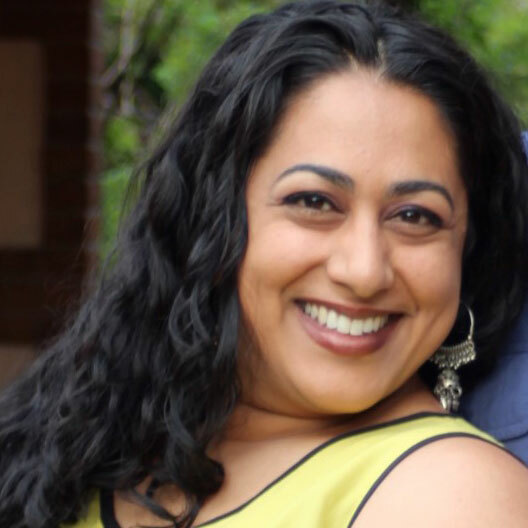 Neha also served as Co-Executive Director at Survivors Organizing for Liberation, where she oversaw financial management and fundraising for the statewide organization dedicated to LGBTQ justice and youth organizing. Neha is now the Organizing Director Family Values @ Work. Previously she held the position of Director of 9to5 Colorado, leading statewide campaigns for paid sick days, family medical leave, affordable housing/transit and other critical issues affecting low-wage working women. She is also currently on the Board of Directors of GIFT (Grassroots Institute of Fundraising Training) and member of Standing in Our Power, a national network of women of color committed to transforming leadership for social justice organizations & movements. Neha is deeply committed to mobilizing resources, supporting the leadership of those most impacted and strengthening movements for social change by centering women and LGBTQ people of color. Maria De Cambra serves as City Councillor to the city of Westminster, Colorado. She is also the Managing Director of Campaign for a Strong Colorado, a non-profit that serves as a communications firm to organizations doing advocacy work in Colorado. Prior to her current roles, Maria has spent over a decade leading community organizing and public policy efforts. 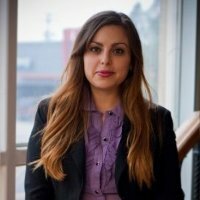 She has served as Hispanic Outreach Organizer at the Kerry- Edwards campaign in Wisconsin, the Director of Hispanic/Latino Outreach for the Referendum I campaign in Colorado, the Program Director to The Latina Initiative and the Colorado State Director to Democracia USA/Inc., a program of The National Council of La Raza (NCLR). 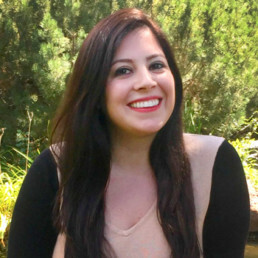 Maria currently serves as the Westminster City Council Liaison to The Adams County Economic Development Board, The Westminster Inclusivity Board, The Colorado Municipal League Policy Committee and the Affordable housing Task Force. 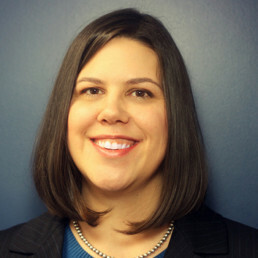 Maria has served as the Westminster City Council Liaison to the Human Services Board and the Historic Landmark Board and on the board of directors of other Colorado non- profit organizations such as: Emerge Colorado, FRESC, Colorado Immigrant Rights Coalition, NARAL Colorado, Adelante Mujer, Inc. and Colorado Organization of Latina Opportunity and Reproductive Rights (COLOR). In 2008 she was awarded the “Grassroots Organizer of the Year Award” by the American Immigration Lawyers Association Colorado Chapter. Maria was born in Tallahassee, FL and spent her childhood in Caracas, Venezuela. In 2000 she moved to the United States to study at The Ohio State University and graduated with a degree in Political Science. In 2017, Maria completed the Harvard Kennedy School Senior Executives in State and Local Government program. Elena Nunez is executive director of Colorado Common Cause. She joined Common Cause in 2006, managing a successful drive to win voter approval for the state’s ethics law, which limits the influence of lobbyist money in state politics. She previously was campaign manager for Amendment 27, Common Cause’s successful 2002 statewide campaign finance reform initiative. In 2011, Elena served on the leadership team for the Boulder referendum calling for a constitutional amendment to reverse the Supreme Court’s Citizens United decision. Before joining Colorado Common Cause, Elena was transportation advocate for Environment Colorado, where she worked to build support for FasTracks, the successful ballot measure to expand light rail in the Denver metro area. She also is a former administrative director for CoPIRG and Environment Colorado. An Arizona native, Elena graduated from Columbia University in 2000 with a degree in Political Science and Gender Studies.